EEPSA is a volunteer organization. Get to know the EEPSA board members, and feel free to contact them regarding your environmental education interests. Executive meetings are held approximately once every two months. EEPSA members and the general public are welcome to attend executive meetings to make presentations and to contribute to the proceedings. Please contact Selina Metcalfe if you would like further information or an opportunity to participate. After living and teaching in Surrey and Langley for 15 years, Jonathan and his family decided to move to Powell River on the Sunshine Coast last year. He is currently teaching French Immersion and ELL at the local secondary school, and enjoys hiking and paddling and spending time by the ocean. He holds undergraduate degrees in English literature and education, and a Master’s degree in curriculum and instruction, with a focus on ecological education. He endeavours to teach English and other subjects from a place-based approach, and loves what happens when he takes his students outside! Selina began her education career in summer camps in the Howe Sound, teaching backcountry leadership skills to street-affected youth for the Boys and Girls Club. Since being wrangled into a classroom, she is a secondary English and Social Studies teacher in the Surrey School District. She has a passion for connecting students to the places that inform them, and aspires to use the curriculum to help students understand their relationship to the land. Selina has a Bachelor of Arts in History and English from UBC, a Bachelor of Education from UVIC in Secondary Education and a Masters of Education in Ecological Education and Diverse Learning Environments from SFU. Selina has recently been a Faculty Associate for the SEEDs (Sustainability Education in an Environment of Diversity) module of PDP at SFU. As president of EEPSA, she worked to establish Local Chapters of EEPSA across the province, and partner with like-minded organizations under the Classrooms to Communities professional development initiative. Selina has delivered professional development to teachers and student teachers for the last 15 years on a wide range of topics such as Place-Based Literature, Outdoor Education, First People’s Principles of Learning, Watershed Education, Writer’s Workshop, Assessment Frameworks, Green Schoolyards and Curriculum Interpretation. Selina and her family currently live in Burnaby and endeavor to spend every single night of their summer holidays out in a tent. Nick is a teacher who lives, works and adventures on the shores of the Salish Sea. 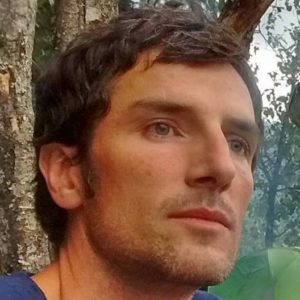 He teaches social studies and outdoor education with the TREK Outdoor Education Program at Prince of Wales Secondary School, in Vancouver. He worked as a coordinator for seven summers with the Pearson Seminar on Youth Leadership. For thirteen seasons, he taught in the outdoor classroom of Howe Sound with Sea to Sky Outdoor School for Sustainability Education, where he was a Program Director and well known for his bioregional comedy routines. In the winter of 2015, Nick spent two months on Race Rocks Ecological Reserve as the Eco Guardian. Donna‘s connection to the environment started as a child growing up on her family’s farm in southwestern Ontario. Her outdoor interests guided her to a BSc degree in Biology and Anthropology at Trent University in Peterborough, Ontario. Her early career work in wildlife biology involved diverse experiences including relocating bears, wetland inventories, deer check stations, and studying moose in Algonquin Park. She also worked as a news and nature photographer completing courses at Sheridan College of Applied Arts and Technology. After moving to BC, she continued her education at SFU and completed her B. Ed with an Environmental minor. She joined EEPSA at that time and has continued to be actively involved in teacher engagement /pro-d activities, as well as serving as secretary for the past five years. Donna has been a teacher for over 10 years, encouraging her students to connect with their environment through place-based learning experiences. She implemented her school’s green team which has been recognized for its local and global initiatives and is currently involved in a school community garden program. In her spare time, she enjoys paddling, photography, hiking, gardening and spending time with her daughters. 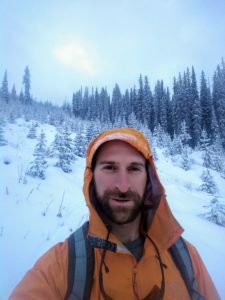 Russell recently graduated from teachers’ college at Lakehead University in Thunder Bay and moved to Rossland, BC to start his teaching career. He brings a wealth of experience in outdoor and environmental education, most recently leading a youth stewardship ranger program in 2017 and 2018. Past roles have included outdoor instructor, canoe trip leader, farmer, and park ranger. Russell is thrilled to be in BC, surrounded by a wave of support for place-based, authentic, integrated and student-centred education. Russell’s teaching specializations are senior Chemistry and Environmental Science, drawing on a B Sc in Environment from McGill. He is currently teaching on call in SD 20 and loving life, but looks forward to the challenge of taking on a class. Laura is a born and raised Kootenay girl who lives and teaches in the Columbia Basin. She is the membership chair of both EEPSA and her local chapter. She loves the outdoors and can usually be found hiking, biking, canoeing or snowboarding with her husband and 2 young kids. 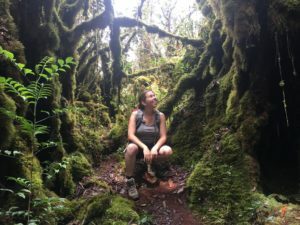 She is passionate about place based learning and can usually be found hiking around the mountain trails, teaching her primary students the names of all the local plants and animals. Heidi is excited to join EEPSA and will be supporting Member Outreach. Heidi completed her degree in Geography and Natural Resource Management at the University of Northern BC and started her career working with BC Parks and Water Resources. She was introduced to teaching experiential, environmental and outdoor education in New Zealand and the Yukon Territory. These experiences as a teacher were transformative and she has since worked with a variety of schools and experiential education programs in BC. She was also instrumental in developing and delivering Zero Waste and Sustainability Workshops in the Squamish to Lillooet Region for several years. Kerri is an experienced outdoor educator and teaches intermediate and secondary science and outdoor education. She is a trained Wild BC facilitator and gives workshops to educators looking to take their students outside, learning in experientially rich ways. Kerri also has experience creating curriculum-linked, hands-on environmental programs. Teresa aka ‘Granite’ is an Environmental Learning teacher at the Cheakamus Centre in the North Vancouver School District (SD44). She holds a Masters degree in Environmental Education and Communication, and specializes in curriculum integration. 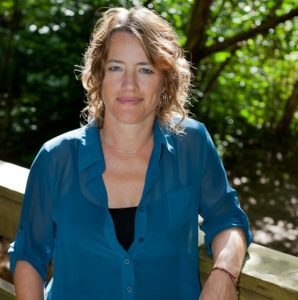 Teresa brings with her a strong background in outdoor experiential and environmental education. She has worked with a diverse group of learners in a variety of education settings beyond the classroom, including outdoor school, day and overnight camp programs, wilderness trips, local field studies, and service learning with community organizations. Prior to joining Cheakamus Centre, Teresa most recently served as the department head of the TREK Outdoor Education Program at the Vancouver Board of Education. Before that, Teresa was a teacher in the Explore program at Collingwood Independent School, camp director at Camp Madawaska, and mountaineering instructor at Outward Bound Canada. Teresa has lived in the Sea to Sky Corridor for over three decades. Her childhood experiences exploring the temperate rainforest and waters of Howe Sound continue to inspire her work today. Natasha Burgess is a Grade One teacher at Marysville Elementary School, and is passionate about learning outdoors with her students. She finds that the local environment provides so many opportunities for meaningful, engaging experiences with her students. Since beginning to take her students outside on a regular basis, Natasha has noticed improvements in student engagement, confidence, self-regulation, and conflict management. She enjoys working with her colleagues to support their efforts in taking students outside. She has successfully planned school-wide events for the past three Take Me Outside Days at Marysville, and has worked with Marysville’s Aboriginal Support Worker, Anna Keiver, to plan school-wide Earth Day activities and Green Games competitions the last two years. She and Sandra Beckett, a Kindergarten teacher in Golden, have also worked on a project titled, “Greening the Curriculum”, a document that links curriculum expectations to outdoor activities. In 2015, she completed her Masters of Education, focusing her research efforts on the value of involving children in selecting inspiring outdoor spaces for learning. 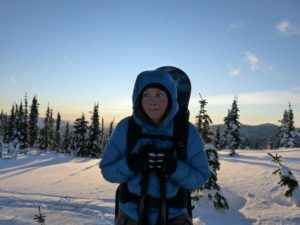 Researching this topic intensely has helped increase her confidence and passion for outdoor learning, and she continues to seek out every opportunity to expand her understanding of this topic.?? Natasha has been a CBEEN member since 2013, and has benefitted from many of the professional development opportunities CBEEN has provided. She has just joined the EEPSA board this fall, but has been involved in EEPSA projects already. Natasha loves great professional development and the opportunity to connect with other educators, so Leadership Clinics, Inquiring Voices Symposiums, local workshops, guest speakers, and EECOM conferences have been a highlight for her. She enjoys networking with others who share a passion for getting children outside, and has found these events very inspiring and empowering. 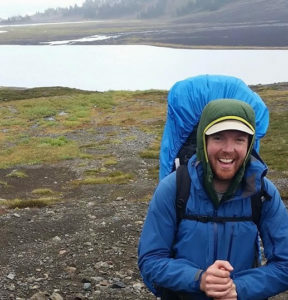 After graduating from the University of Victoria, Ryan completed his Bachelor of Education specializing in Outdoor and Experiential Learning at Queens University and a M.Ed. in Curriculum Development and Implementation at Simon Fraser University. His research interests include transformative education, contemporary Rites of Passage, place-based and ecological learning environments. Ryan has delivered education programs at the grassroots and governmental level. He has worked with Parks Canada, BC Parks, the National Forest Service (US) and the National Parks Service (US). 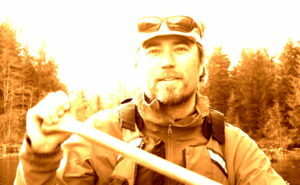 In 2005, Ryan was part of a team who built the Outdoor & Ecological Learning department for the Powell River School District (LEAP, Coast Mountain Academy). He, his wife Karin and children Wren and River currently live in the old Townsite (Powell River) on the Sunshine Coast BC, Canada.